Achievement system to simply add any achievement you like to your Unity project. First of all define what kind of properties your game will need i.e. “killed enemies” etc. 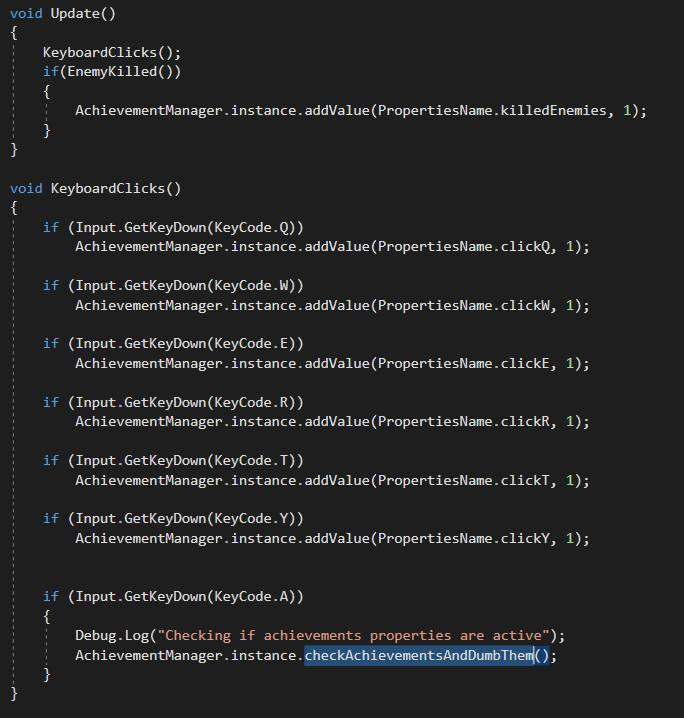 BY PRESSING BUTTON “A” ON KEYBOARD I CALL FOR A METHOD WHICH CHECKS IF ANY ACHIEVEMENT IS DONE.